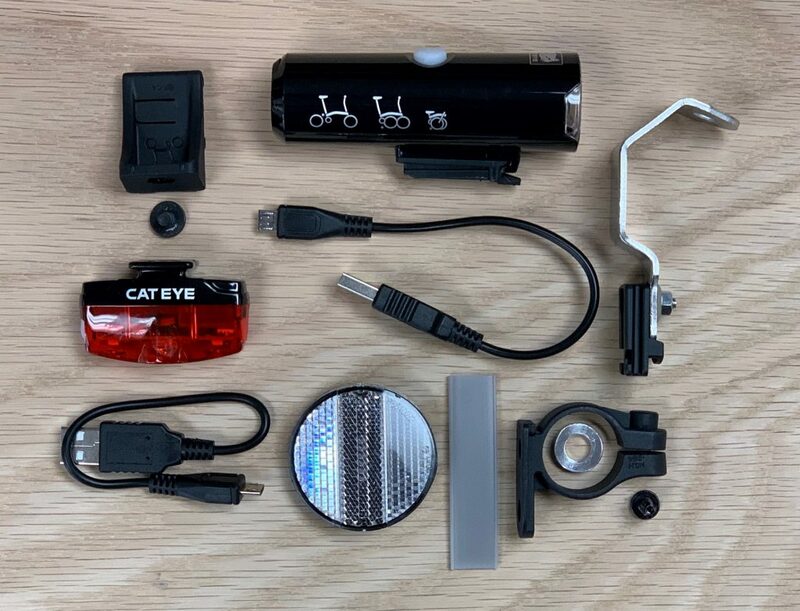 Headlight: Powerful Cateye 400 lumen USB rechargeable headlight, 5 lighting modes, up to 60 hours battery life (flashing). 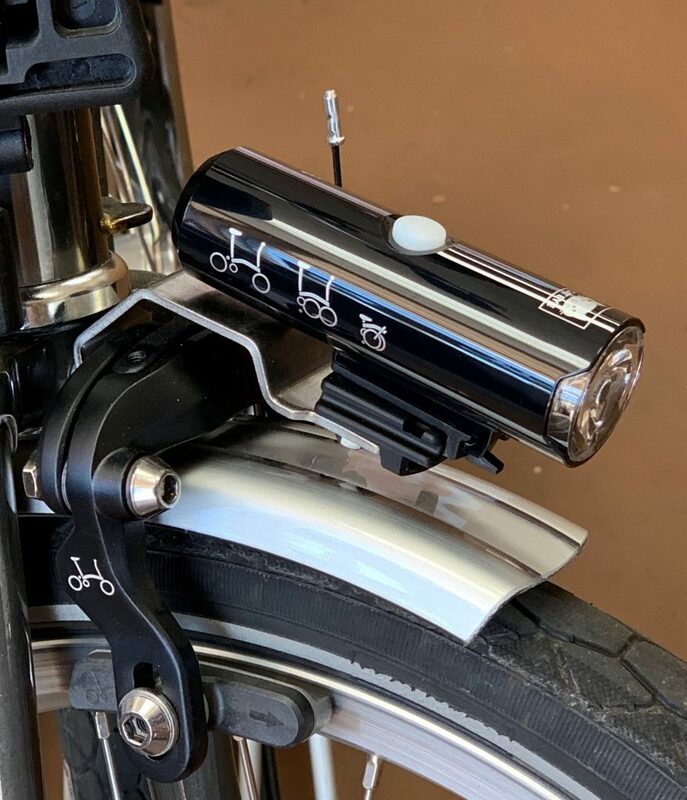 Mounts just above the front brake with Brompton’s specially designed bracket, included. 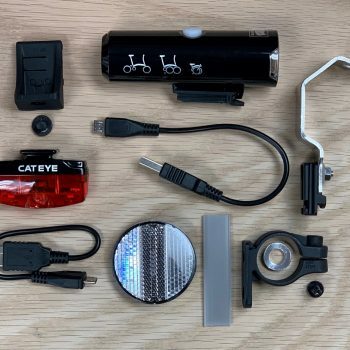 Taillight: Cateye Rapid Mini USB rechargeable rear lamp, charging cable and saddle bracket. 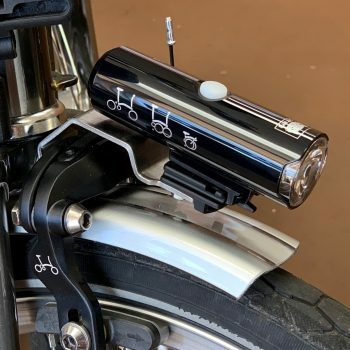 Attaches and integrates seamlessly onto the Brompton 2017-or-later saddle.